Check out Woodcroft homes for sale in a community that's just northwest of Downtown Edmonton. The Woodcroft area features well-priced single-family homes along with a small selection of condos. The community is located east of 142 St. NW, south of 118 Ave., west of Groat Rd. and north of 111 Ave. You'll notice there aren't many homes for sale in Woodcroft on the market, so if you see one you like, don't hesitate to ask for a viewing as the area is in high demand! Read more about Woodcroft homes for sale below the listings! As mentioned, real estate in Woodcroft is highly desirable and a big reason for that (besides the home values) is location. It's just a 15-minute drive into the downtown core, making it not too much of a commute if you're working downtown. Woodcroft is not far from a host of shopping amenities including Westmount Centre where you'll find a Home Depot and Wal Mart. The Kingsway Mall is also fairly close by along 111 Ave. The mall has been renovated and is now home to more than 235 stores and services. The Bay, Sears and Target are the mall's anchors, and you can also shop at some of the fine retailers like GAP, La Senza, and American Eagle Outfitters. Ross Sheppard High School is located in the south part of the community. The school offers an International Baccalaureate program along with regular classes. The Fraser Institute ranks Ross Sheppard in the top-10 among all 25 Edmonton high schools. Explore Woodcroft condos and you'll see the community is nicely situated close to some awesome recreational activities. 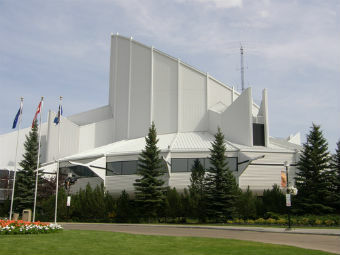 The Telus Science World is a popular way to spend the day when the weather isn't that good. Stay fit at the Peter Hemingway centre which boasts a swimming pool, fitness centre, tennis courts and sports fields. Coronation Park is within the community and if you want to hit the links, there are a few public golf courses that aren't too far away like Riverside and Victoria Golf Course. Twin Willows is another public track that features a 18 holes that are perfect for those who are new to the game. If you're looking for a real estate agent to help you check out Woodcroft homes for sale in Edmonton, contact MaxWell Challenge Realty. Our team will help you find your dream home!